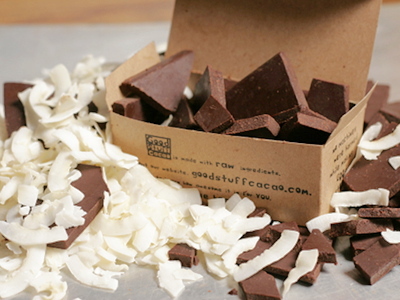 This wedded bliss brings just the right amount of coconutty chew and delicious cacao goodness to your taste buds. Yet another marriage of flavors with happily ever after written all over it. Percent Daily Values(DV) are based on a 2,000 calorie diet. All Good Stuff Cacao products are made with raw organic cacao, raw Michigan honey, have no GMOs or gluten, practice fair trade, and are made in a facility that may handle tree nuts.